We have received urgent, unconfirmed reports from Deiyai in West Papua that today up to 17 West Papuan people, including 6 children were shot by the Indonesian police and military. 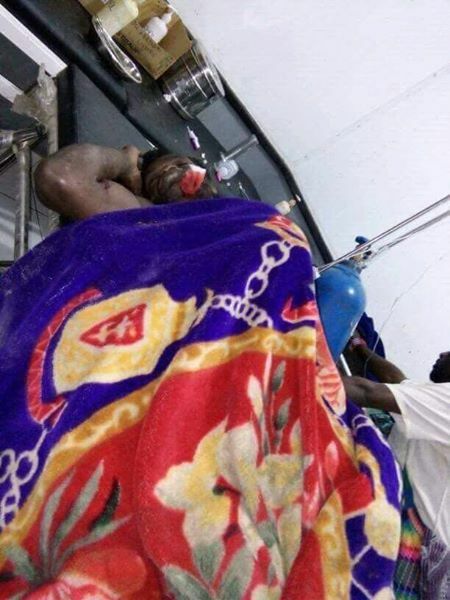 A photo believed to show one of the victims of the attack, currently in hospital. West Papuan man Marius Pigai was announced dead at the scene, 6 people are still being treated in Paniai Hospital in intensive care. 3 people are being treated in Deiyai and 7 children are still in recovery and being treated by their family. Witnesses say the situation started when a group of friends were swimming in a river in Deiyai. One boy, Ravianus Douw- 24 years old, got into trouble and needed urgent medical attention, so the group of friends approached a local company to ask for help. The group were ignored and had to walk 10 kilometers for approximately 5 hours to find a car to take their friend to hospital. Ravianus died on the way to hospital. The families and relatives of the victims were angry at the workers, as they believed if they had helped him he would have survived. The group marched to the bridge in Deiyai to complain. 1. Yunior Pakage (13 years old), shot in the leg. 2. Damia Pekei ( 15) shot in the back and the hand. 3. Deria Pigai ( 17 years old) shot in the rear thigh. 4. Marinus Dogopia (19 years old), shot. 5. Amoye Pakage (17 years old) shot in the back. Such a human rights atrocities are commonplace in West Papua where the Indonesian military and police feel free to act in impunity in an occupied country treated as a colony. Please share this urgent news with all of your contacts, media networks and friends. The people of West Papua need international help urgently to put an end to this brutal occupation. Our hearts go out to all victims friends and family, and the people of West Papua. This is a developing story, we will continue to update this article as more information becomes available. Much of the information in this article has come from a report by West Papuan media outlet TabloidJubi and can be read here. I am writing to voice my deep concern regarding an alleged brutal shooting and violence committed by the Paniai Police Mobie Brigade. It was carried out against local indigenous Papuans in Oneibo, South Tigi District, Deiyai Regency, Papua. Without any proper warning, the Police forcibly dispersed and shot the local indigenous Papuans who protested against the Putra Dewa Paniai Company. The protest was caused by the Company’s refusal to help local residents to support the life of an indigenous Papuan. He was in a critical condition after near drowning in the Oneibo River. On August 1, 2017 around 04.30 pm, Mr. Ravianus Douw, a local resident of Oneibo, South Tigi District, Deiyai regent was drowning in the Oneibo River. The victim, in a critical condition was rescued by local residents. They requested assistance from the Putra Dewa Paniai Company. They asked to use the Company’s car, parked near the accident area, to quickly transfer Ravianus to the local Hospital. The Company is working on the development of a bridge over the Oneibo River, Deyai regency. However, the company refused to help the victim. Therefore, the local residents had to call a car from Waghete, about 10 KM away. After some time waiting, Ravianus Douw was transferred to a local hospital (RSUD Madi). Unfortunately, due to the delay, the victim’s life could not be saved and he passed away. The local residents believed that the victim’s life could have been saved, if the Company helped immediately in the transfer of the victim to the Hospital. The following information was received by the AHRC. Knowing that the victim had passed away, the local residents were very angry and destroyed the Company camp. Shortly thereafter, around 05.45 p.m. fully armed troops of the Paniai Police Mobile Brigade (Brimob), arrived at the scene of the accident. They forcibly dispersed the residents and shot at them. 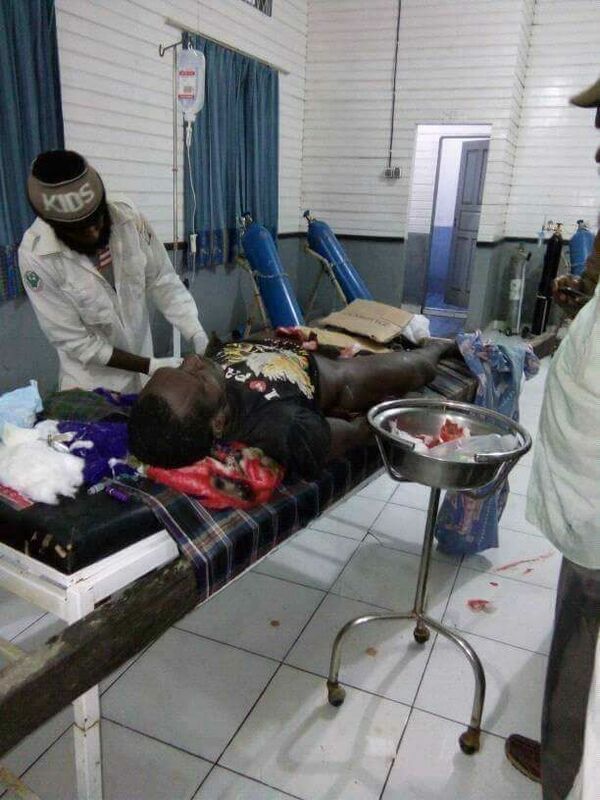 As a result of the shooting some local residents were hit by bullets and had to be transferred to the local Hospital. Three residents are in critical condition. Unfortunately, without any proper and accountable investigation, the Chief of Police of Papuan Regional Police (Kapolda Papua), Police Inspector General Boy Rafli Amar, reported that the incident was caused by the local residents. Furthermore, he claimed that the residents destroyed the company camp, BUT does not acknowledge that the Police indiscriminately shot into the crowd of local residents. Article 10, paragraph c, of the Regulation stated “In carrying out their duties of enforcing the Law, every INP personnel must comply with the code of conduct as set out in Article 7 sub-article 7 as follows: Para c. refrain from using force unless absolutely necessary to prevent crime, or conduct an arrest in accordance with regulatory provisions concerning the use of force.” In addition, the Police violated Law no 39 of 1999 on Human Rights. Further investigation into the case should consider the International Covenant on Civil and Political Rights (ICCPR). Indonesia is a State party by enactment of Law No. 12 of 2005. Therefore, I respectfully request you to ensure that the Police, without proper and accountable investigation, should not publicly announce any findings on the case. The Police should investigate the case properly under fair trial principles, and open access for the external oversight from the following: The National Commission on Human Rights (Komnas HAM), the National Police Commission and independent Human Rights Organizations. They should ensure that the alleged perpetrators will not be released until they are punished. The personnel of the police mobile brigade (Brimob) who were found guilty should be held accountable. In justice, the residents who destroyed the company camp should be properly investigated and judged as well.